The Alaska LNG project has filed second drafts of Resource Reports 1 (general project description) and 10 (alternatives) to the US Federal Energy Regulatory Commission (FERC). This comes as part of FERC’s pre-filing environmental review process. The project is being developed by Alaska Gasline Development Corp., BP, Alaska LNG, ConocoPhillips Alaska LNG Co., and ExxonMobil Alaska LNG. It will liquefy natural gas from the Point Thomson Unit (PTU) and Prudhoe Bay Unit (PBU) production fields on the Alaska North Slope, US. It will then provide this LNG for both in-state and foreign markets. An approximately 804 mile long pipeline. A gas treatment plant within the PBU. An approximately 62 mile long gas transmission line that will connect the gas treatment plant to the PTU gas production plant. A 1 mile long gas transmission line that will connect the gas treatment plant to the PBU gas production plant. 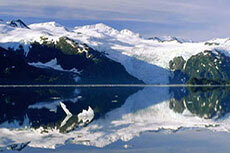 Draft reports for the Alaska LNG Project have been submitted to the US FERC. The Alaska LNG Project has submitted a request to the FERC to start the pre-filing process for the project. 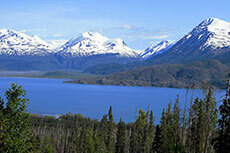 The Alaska LNG project has filed an LNG export application with the US DOE. BP agrees sale of interests in four Alaska North Slope assets, as it focuses its efforts on advancing Alaska LNG.